I ran across my first Wiesmann in its natural habitat in 2009 outside of Paddington Station in London. Since then, I’ve been enamored with the German sports car company, which I’ve always likened to a German version of Morgan, and its pure-bred track-going GT cars. 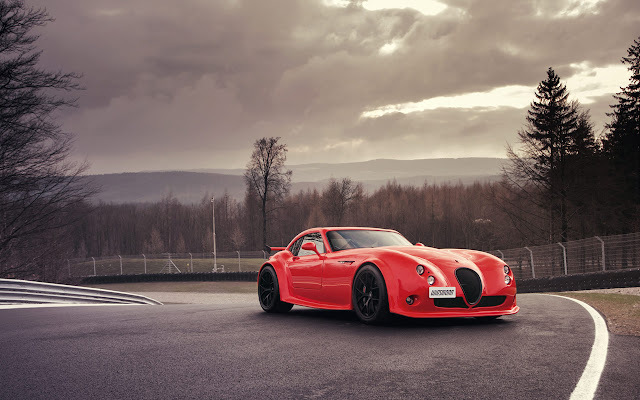 Now, my affection to Wiesmann has grown even stronger with the release of their new GT MF4-CS (and Top Gear thinks the McLaren MP4-12C sounds like the name of a fax machine). The “CS” stands for “Clubsport”. As per the usual, the Wiesmann GT MF4-CS is powered by a front-mounted Bimmer 4 Liter V8 cranking out 420 horse through a seven-speed dual-clutch or (thank goodness they kept it) a six-speed manual gearbox. 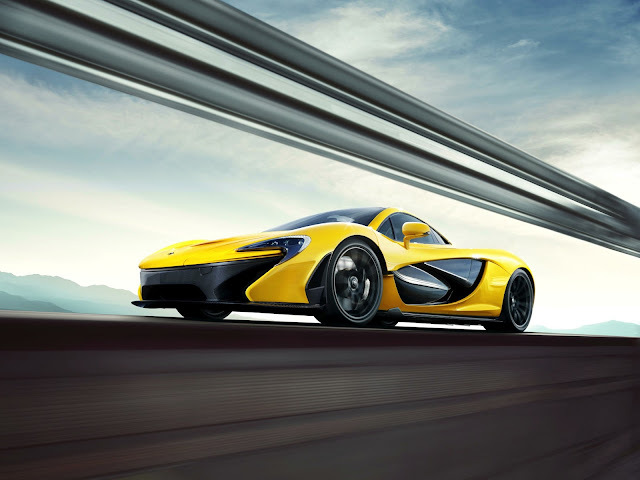 Now, 0-60 isn’t neckbreaking at 4.4 seconds, nor is the top speed cumuli-numbus-bound at 182 miles-per-hour, but a track-ready roll-cage, locking diff, beefy tires on all four corners, bonded & rivited aluminium monocoque frame and aluminum double wishbone suspension with coil springs and anti-roll bar front & back should make for a plenty fun car. Don’t forget, this is a track car, so no A/C, GPS, radio or other such creature comforts. That keeps the weight down to just over 2,900 pounds. Only 25 examples of the Wiesmann GT MF4-CS will be made, worldwide. That car is going to be a blast. For the full details, check out the press release below. EVERYONE´S IN MOTION. ONLY YOU IN POLE. Such questions of correct etiquette fade into insignificance in light of the Wiesmann GT MF4-CS; because this extraordinary automobile combines the driving experiences of road and racetrack to such a high level that the answer can only ever be a resounding “yes!”. Limited to 25 vehicles worldwide, the Clubsport celebrates everything Wiesmann has stood for over the last quarter of a century: cutting-edge technology, timeless design, extreme individuality and exclusive driving pleasure. the Wiesmann GT MF4-CS will thrill you all the way to your next track day with its boundless power and impulsive dynamics. So is it really appropriate to celebrate passionate driving pleasure so excessively? you make up your own mind. 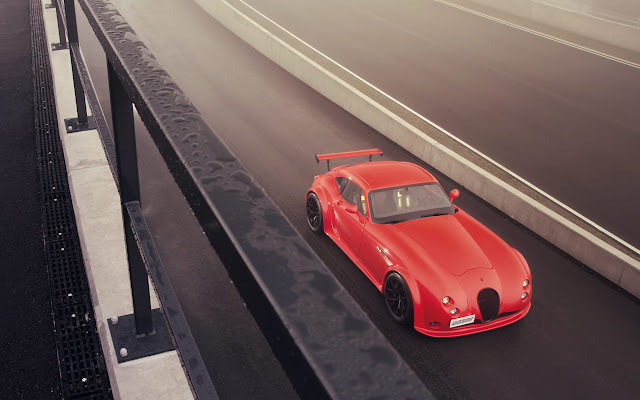 The Wiesmann Gt mf4-CS is waiting for your answer. Anyone who is regularly on the racetrack and has petrol in their veins knows that appearance isn’t everything – but it can often be breathtaking. If you find yourself lost for words when you first encounter a Wiesmann GT MF4-CS, then you’re not alone. Its impressive forms, dynamic curves and cool lines speak such a clear language that there is really nothing that can be added to that first impression. Those in the know just remain silent – and enjoy. 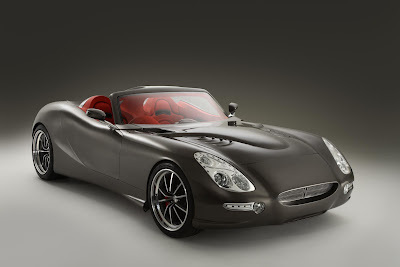 In quiet anticipation of what the “inner values” of the Wiesmann Gt MF4-CS will yet reveal. The track, the car and you. Everything else is superfluous. The significantly slimmed-down interior is an essential element of the outstanding racetrack qualities of the Wiesmann GT MF4-CS. you have no need for a GPS system, air conditioning or a radio when you’re on the track. but you want maximum vision. and maximum safety, which is provided, for example, by the roll bars and the integrated, quick-grab fire extinguisher. 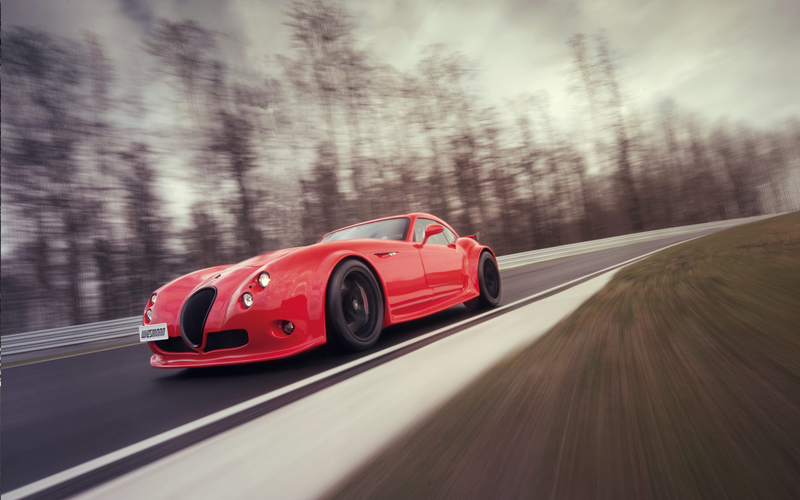 So at the same time, the Wiesmann Gt MF4-CS can also be used as a complete – and uniquely formed – road vehicle. Everything about the Wiesmann Gt mf4-CS awakens your thirst for performance, curves, speed and raw power – from the sporty car seat shells with feed-through seatbelt all the way to the clear and straightforward controls. Settle into your seat, focus your senses – and give free rein to your insatiable passion for adrenalin in the Wiesmann GT MF4-CS.